When I first started looking into studying abroad, I repeatedly heard stories about the workload while abroad and how the “abroad” played a much bigger role than the “study.” Well, they fooled me. 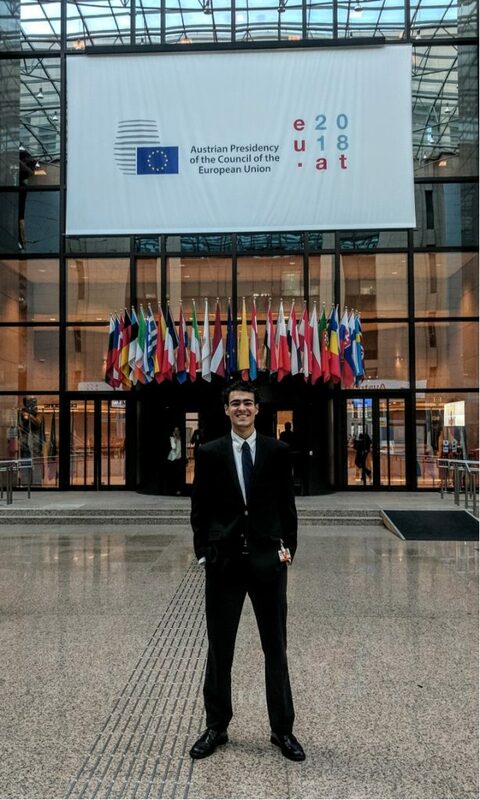 Now, my program is a unique one, because it focuses on the European Union and has three week-long trips throughout the semester that are designed to align with our studies. We just returned from the last of our trip, where our program split us into three groups, of which mine went to London, Belfast, Dublin, and Stockholm. These trips leave the rest of our class schedule packed, to say the least. So what have I been learning? To start, I know much more about the European Union than I ever expected to. How it started as the European Coal and Steel Community in 1952 as an economic organization that could help prevent further conflict between the major powers in Europe of France and Germany. How it is now made up of 28 countries, but is likely losing a member state for the first time during finals week next semester on March 29 when the UK exits. That’s right, I can tell you just about everything you could ever hope to know about Brexit as well. Insider scoop – Britain is probably in trouble. In Brussels, we visited several of the EU institutions, including the Council of the European Union. Speaking of, my Brexit class and I got to meet with negotiators who have been working in overdrive to hammer out the details of Brexit deals on both the UK and EU sides. 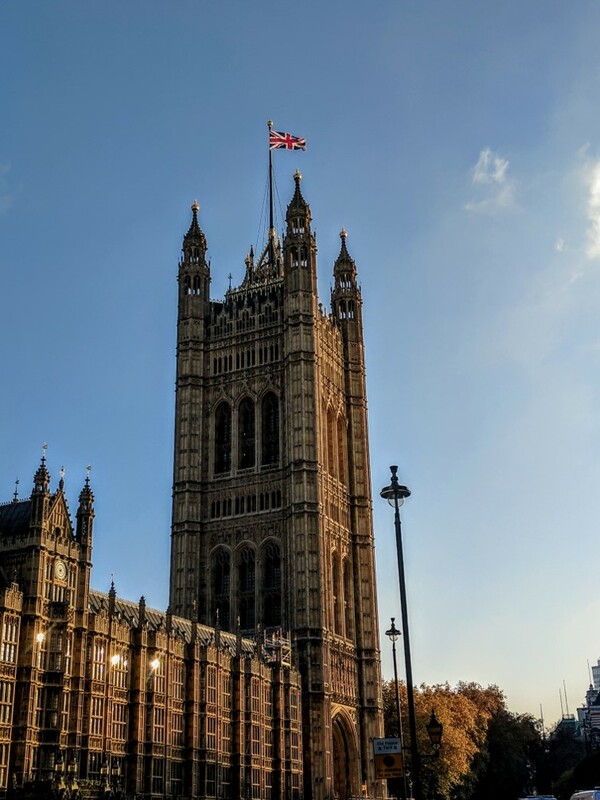 Additionally, the final project for our class was to meet with a class of students doing the IES program in London to present and debate our own terms for a Brexit deal. The UK Parliament, where we got to go on a tour and see the House of Lords and the House of Commons. My favorite parts of studying abroad come when ‘study’ and ‘abroad’ stop being mutually exclusive. Though much of our mornings or afternoons were filled with meetings, we had the opportunity to go on city tours and go off on our own. 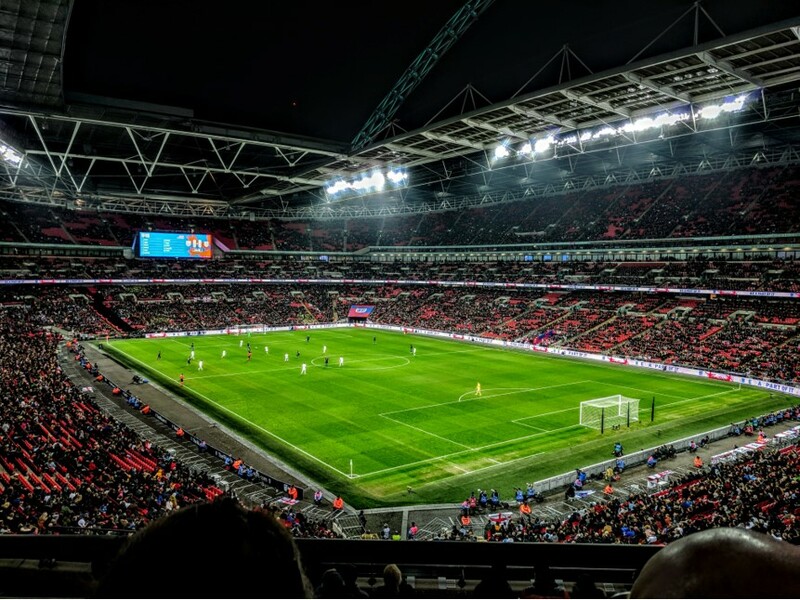 Our first night in London, I went to a friendly of the US men’s soccer team against England at Wembley Stadium, the largest in the UK. The US lost 3-0, but it also happened to be the last international game for legend England’s Wayne Rooney. I also got to meet up with a friend I made during an international leadership conference in Liverpool that I went on with a group of students from Hope College. 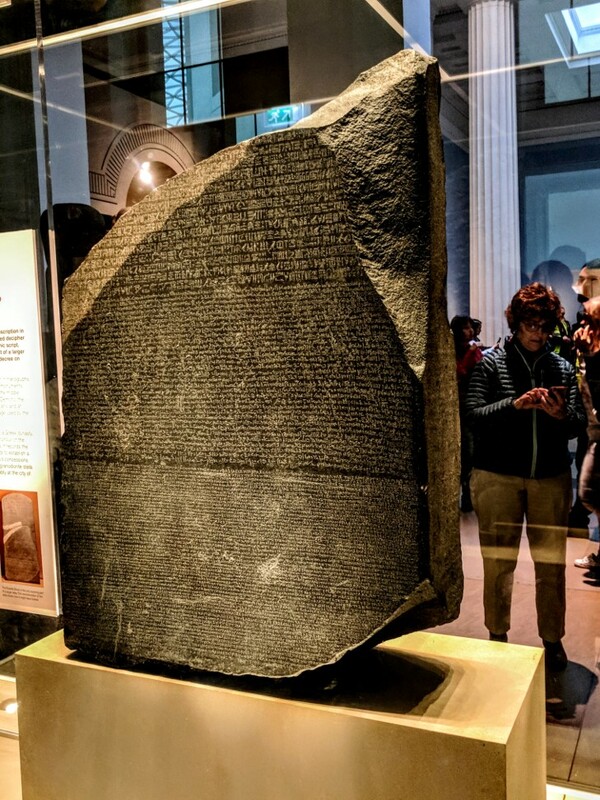 We met up and went to see incredible artifacts like the Rosetta Stone at the British Museum. This slab of rock had text from 3 languages inscribed on it, allowing scholars to decipher the meaning of ancient Egyptian hieroglyphs. My cousin who plays professional soccer in Einhoven (in the Netherlands) was able to come hang out with me for a day in Brussels. 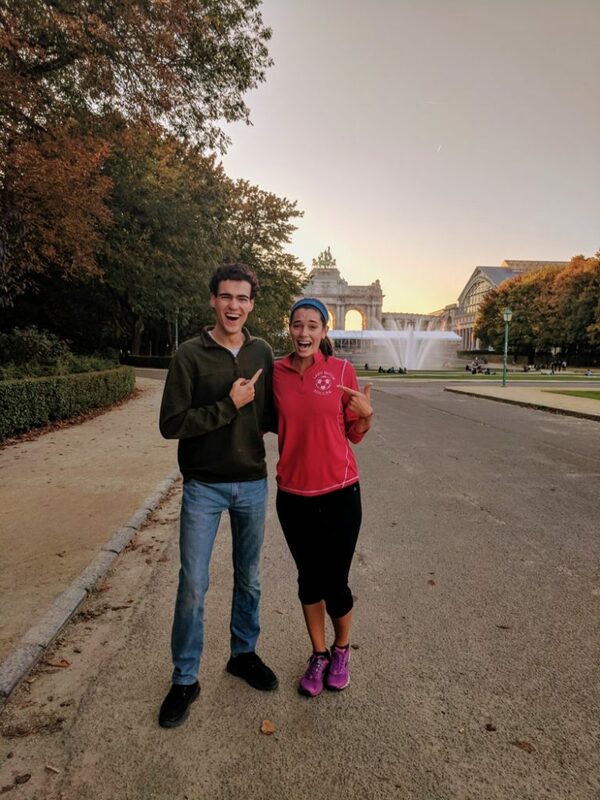 I randomly (almost literally) ran into Allie DeJongh, a class of 2018 Hope student who now is on a Fulbright scholarship and is teaching English in Brussels. 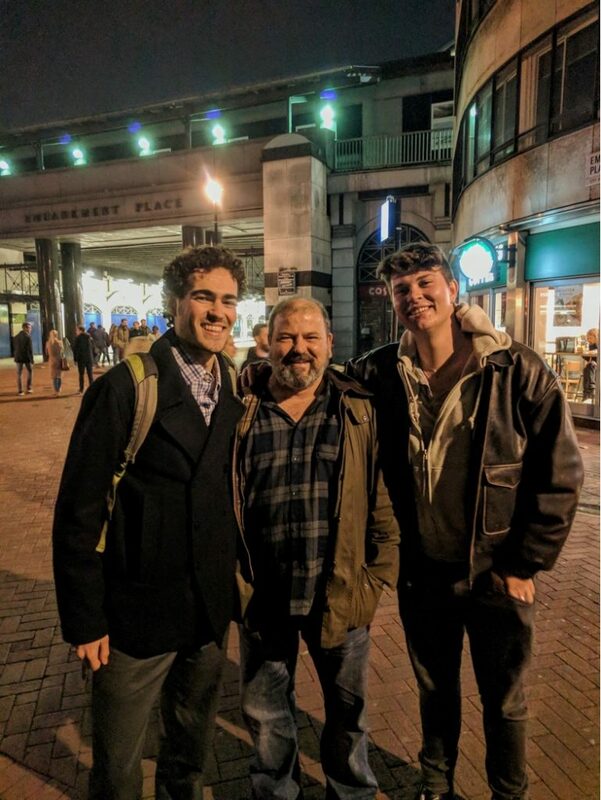 In London I also met up with one of my best childhood friends from Prague and his dad. Yes, I have been very busy and I should probably get started on that 12 page paper due soon, but in the past month I truly have gotten to experience a great blend of both studying and being abroad. I am developing a much greater understanding of Europe as a collective whole – its problems and its functions. At the same time, seeing old friends during my travels is a good reminder of why we do it in the first place. To meet people from different places and share ideas and experiences with each other.